Anyone who's ever gone outside in Houston knows that mosquitos are all over the city. We live in a hot, wet city with lots of pools of standing water, the perfect place for mosquitos to breed. But your yard doesn't have to be a mosquito breeding ground. Bulls Eye Pest and Termite offers our mosquito barrier fogging service to keep mosquitos out of your yard. Mosquito fogging creates a long-lasting barrier that kills mosquitos and their eggs. When we fog your lawn for Mosquitos, we cover the entire area with an effective mosquito-killing solution. This solution dries and settles throughout the yard, creating a barrier that will last for up to 30 days. This barrier is perfectly safe for people, children, and pets, but will kill any mosquito that comes in contact with it. The advantage of mosquito fogging over other mosquito treatments is the complete coverage that fogging provides. The fog will spread around and underneath plants, porches, decks, and other areas that are impossible for sprays to reach. These hidden areas are where water gathers and where mosquitos breed, and they also provide perfect hiding places for the biting bugs. Mosquito fogging takes away their hiding places, their breeding ground, and gives your yard back to you. Mosquito fogging is absolutely safe for people and pets. All that we recommend is that you stay off the lawn for 45 minutes to an hour after the fogging to allow the solution to dry undisturbed. After that, your yard can be yours again without mosquitos constantly biting you. Mosquito barrier fogging offers safe, effective long-term mosquito control. One mosquito fogging treatment can kill mosquitos for up to 30 days. And if you sign up for one of our mosquito treatment plans, we keep coming back on a regular schedule to ensure that your yard stays mosquito-free the whole year round. Bulls Eye Pest and Termite offers three seasonal mosquito barrier fogging plans, freeing your yard of mosquitos for an entire season, the months you use your yard most, or as needed for special occasions. Full Season Mosquito Fogging Plan - Our full season plan gives you regularly scheduled treatments to cover the entire eight months of the Houston mosquito season. 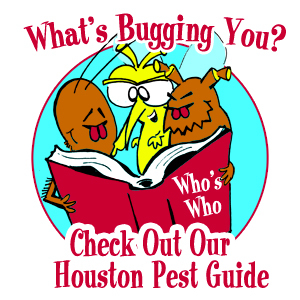 If you want to enjoy an entire mosquito-free year in Houston, we'll come every month for eight months and keep those annoying bugs away from your yard. This will give you a whole year of sitting outside without mosquito bites. Half Season Mosquito Fogging Plan - Our half season plan gives your four months worth of mosquito fogging treatment. Keep you summer mosquito-free and enjoy the Houston sunshine and warm evenings out in your yard. We'll make sure your grilling season is mosquito-free. Monthly Mosquito Fogging Plan - Our monthly plan lets you schedule mosquito fogging as needed. If you're having a party, a wedding, or another special occasion when you need a mosquito-free yard, give us a call for a mosquito fogging and we'll make sure the mosquitos are gone before your guests come. Bulls Eye Pest and Termite Control offers you complete mosquito barrier fogging services anywhere in Houston. If you want to enjoy a mosquito-free year in your yard, give Bulls Eye Pest and Termite Control a call at 713-222-PEST.